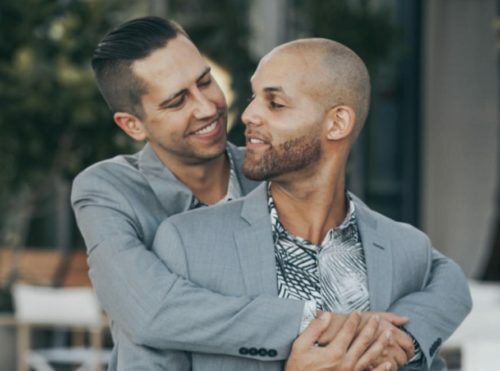 An Uber ride left one gay man injured as a homophobic driver allegedly dragged him down the street. Taray Carey and his husband Alex Majkowski were headed to a bar with a friend late Tuesday night in Manhattan. They ordered an Uber and the ride was uneventful, until the end when Cary, 27, and Majkowski, 33, shared a quick kiss. That’s when the driver, who went by “Denis” on his Uber profile, got enraged. “Are you fags? Are you faggots? Are you faggots? In my country you’d be beheaded for that,” the driver said, according to Carey. He believes the driver was referring to Russia. “His hatred of gays was beyond his self-preservation,” Carey told the New York Post. “I said let me out let me out let me out just over and over until he stopped,” Majkowski told NBC 4 News. They got out when the driver stopped at a red light. The friend got out first, but when Carey tried to get out, he was stuck in the seatbelt and Denis started driving again. Carey was dragged for a quarter of a block. His hands and knees got scraped and got a welt on his head the size of a golf ball. He eventually fell out of the car. Majkowski got out at the next red light. “I’m not used to feeling so defenseless,” Carey said. When police showed up, Carey said they laughed and said that it wasn’t a hate crime. The New York Police Department said that bodycam footage doesn’t show the victims being laughed at. The police say they are investigating a complaint for leaving the scene of an accident with injury. Uber said that the driver’s account has already been suspended and that the couple was refunded their $17.46. A spokesperson for New York City’s Taxi and Limousine Commission said that they are investigating the incident as well.